Raising chickens in December: 20 tasks for a healthy flock. 20 tasks to keep your chickens happy and healthy through the holiday season. And in amongst all the preparations for celebrating the holiday season, we still need to put time aside to carry out the necessary tasks for the month to keep our backyard flock healthy and happy. Just one a day and you'll be done well before Christmas! So - let's get started! Are you in my newsletter group? If so, you'll be able to download your free checklist for this month's tasks from the newsletter which comes to you in the first week of the month. The nights now are dark early - in Italy it's pitch black by 4pm. The long days of summer are long gone - and so, in many cases, is the supply of eggs from your girls. Chickens need about 14 hours of daylight for optimum egg production. It's not so of every breed, but for many it means that as winter draws in, the supply of eggs gets less - and sometimes stops altogether. Now you have a decision to make: do you provide artificial light in the coop to keep production up, or do you let your hens have a rest during the winter months? Is there anything else you can do to help your flock keep laying eggs like these all winter? How come I get eggs like these in December? Read on! 1. Make the decision. 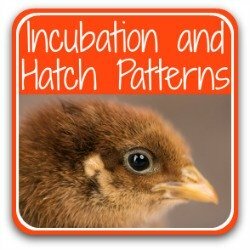 Do you need to provide eggs for your family, or to sell, year round? If so, you need to provide at least 14 hours of light per day inside your coop. For more detailed information, including the pros and cons, see my article, here. 2. If you do decide to light your coop, make sure you do it safely. Rope lights like these are ideal. (This is an affiliate link, which means if you click it and buy something, I make a small commission at no cost to you). 3. Providing high protein food as treats can help your hens carry on laying for a little longer. Here's a link to my pages about what makes a good high protein treat. And if you still have a glut of pumpkins available in your area, they're a good choice for additional vitamins. 4. 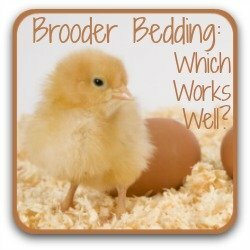 Next time you add to your flock, look for chicken breeds known to keep laying for longer. the eggs in the photo above are all from my Red Star chickens. Chicken sweaters? Just say no! At this time of year it starts. Friends and family send me pictures of chickens wearing sweaters. They think it's cute. Little do they know the harm that dressing chickens up in this way can do. Chickens use their feathers to "fluff up" against the cold. Warm air is trapped underneath the downy feathers next to the skin, keeping out the cold air. Anything that stops the chicken from fluffing up is potentially a disaster waiting to happen. Not able to fluff up, the cold air penetrates - and chickens quickly die. This isn't just true of chickens. You'll see garden birds fluffing their feathers in the winter, too. 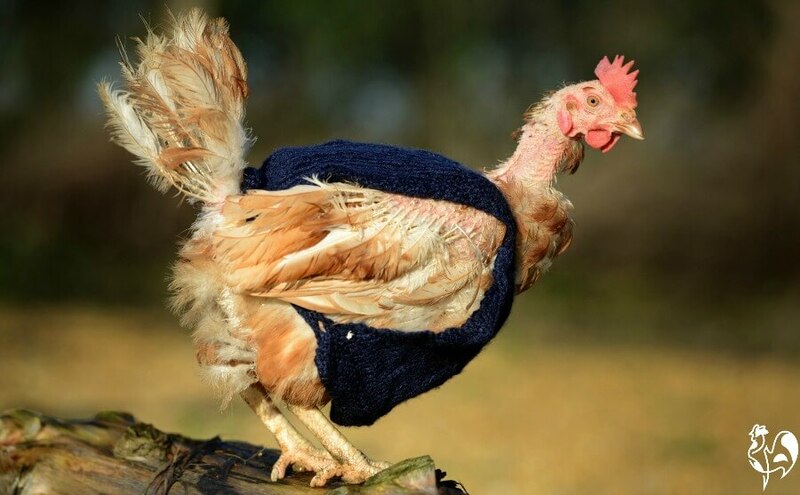 The only possible time chickens need sweaters is rescued ex-battery hens, whose feathering is severely compromised in cages. They have so few feathers that it's not possible for them to fluff up. An ex-battery hen has such little covering that she may need help keeping warm until her feathers grow back. 5. If you re-home ex-batts in the winter, feel free to find them a warm covering to stave off the cold. 6. In every other case, leave your chickens to do what comes naturally. Save the coats for your dog. 7. And, whenever your mother sends you "cute" photos of chickens wearing sweaters, why not try some basic education. It can be done sensitively, without making your mother feel stupid. I know - I do it all the time. 8. The best way to help your chickens stay toasty warm in the winter is to make sure they stay dry. Wet feathers can't be fluffed. A dry coop and somewhere to shelter in their run is much safer and more effective than clothing. Supplement their greens - start sprouting! Nothing much is growing in garden for chickens to eat in the winter months, so it's important to look at taking over the garden's job by providing the goodies for chickens ourselves. 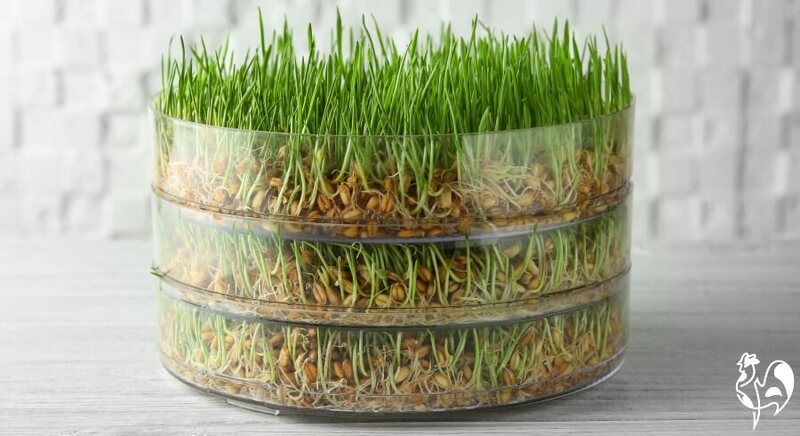 A great way of doing this which is easy, inexpensive and an amazing source of nutrients is to grow our own sprouts. Granted, they're not my flock's first choice when it comes to yummy food, but at this time of year beggars can't be choosers, as they say! 9. I have an article here which explains in detail how to sprout seeds, and which kind are best for your flock. Read it, here. 10. To ring the changes, use wheat or barley and grow the sprouts in a tray. Allow them to grow for between 7 and 10 days before feeding and lo - you have rich, green fodder with around 15% protein and no fat. 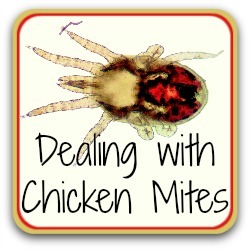 Great for chickens' winter health! 11. If your winters aren't too harsh, use a raised planter in the run to grow grass. Covered with hardware cloth, the chickens can munch on the sprouted grass but can't tear up the roots. Until I get round to writing my own, there's a good article here about how to do it. Chickens don't really know it, but it's Christmas for them, too! So if you're looking for some extra-special treats for your flock during the holiday season, here are some ideas. 12. In these days of changing weather patterns it's conceivable what have previously been mild winters will turn harsh. I know everyone thinks Italy is always sunny, but we were once snowed in for 6 weeks! So make sure your chickens will get their Christmas dinner by buying in a good stock of your normal feed before the weather turns bad. 13. Active chickens are healthy, happy chickens, so make sure your flock has a reason to venture out into the cold this month. Tossing a handful or two of a high protein food like mealworms or sunflower seeds into the run will encourage them to forage and make sure they have some much-needed protein, too. Take advantage of cold but dry days to sit with your chickens and offer them some goodies. These are some of my flock enjoying a mealworm treat. 14. When the ground freezes over and foraging for bugs is more difficult, stop your hens getting bored by providing them with some chicken-friendly boredom busters. Hanging a winter lettuce or cabbage just above their heads provides hours of endless fun! You can take a look at how I do it and how my flock reacts by clicking here. 15. With the same aim of exercise - and at the same time providing off-the-ground places to go if there's snow around - use some different sized logs to make a chicken gym in your run. 16. Deck the coop... I don't have electricity in my coop, so much as I'd love to add some strings of Christmas lights for the girls, I can't. And to be honest, I'm not sure they'd appreciate it. That doesn't mean I can't make their surroundings a little Christmas-y, though! One of my favourite ways to do that is to make a fruit and veggie garland. Which fruit and veg do your girls (and boys) like best? Pick some favourites out, string them together and hang from the coop or the fencing. Holding my hands up here - this one isn't so much for your chickens as for you. But hey - you've looked after your girls all year round, so you deserve some treats at the end! Maybe not a chicken exactly - you'll have to wait until the Spring for that. But if you're trying to drop hints about what loved ones could buy you for Christmas this year, there are a lot of possibilities out there to choose from! Just add them to your wishlist, or leave a page or two from this website open for others to "stumble across"! And if you're looking for gifts for other chicken-lovers in your life, you're in the right place, too! 17. 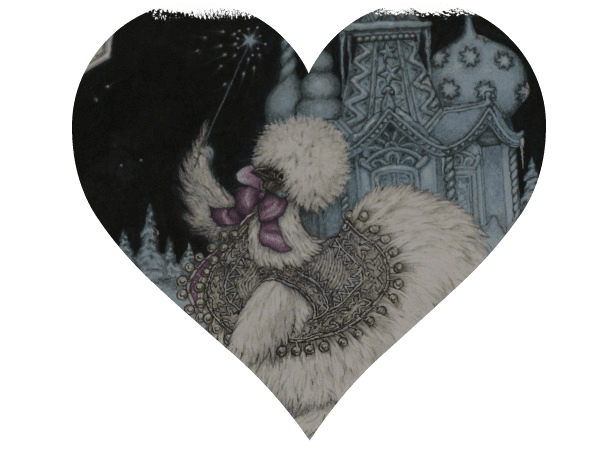 If you're like me and you love sparkly things at Christmas, you'll love this Christmas hen. 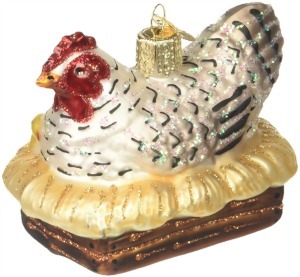 She's just one of the chicken-themed Christmas ornaments I've got. There's a whole world of them out there, if you know where to look! I've written reviews of my very favourites, together with information about where to find them. Take a look at this link. 18. 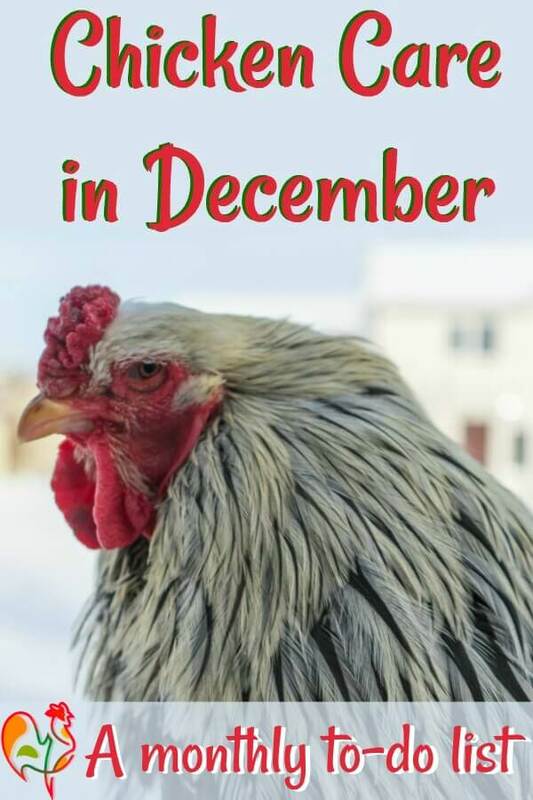 For an inexpensive Christmas or New Year gift - and one you can mail very easily - take a look at my favourite of all calendars - the Extraordinary Chickens calendar is just right for extraordinary chicken lovers! 19. I've got a lot of chicken-related books. Most of them are about caring for chickens, but I have one which is a particular favourite at this time of year. Because it's a chicken-themed take on one of the loveliest of all Christmas fairy-tales - Cinderella. You'll especially love it if you happen to be a Silkie lover. Find out why in my review of "A Cinders - A Chicken Cinderella", here. 20. 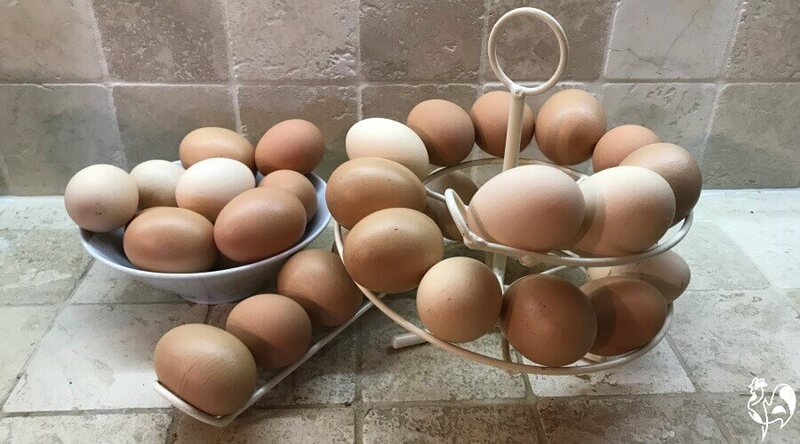 And finally, if you were intrigued by how my eggs are stashed in the photo above, take a look at my review of the "Egg Skelter". I've had mine now for 7 years and it's still going strong. No scratches, no blemishes - it looks just as good as it did the day I bought it. I've bought several as gifts for friends and family over the years, and they've always been a big hit. 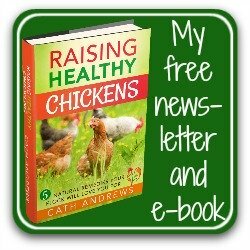 More seasonal pages to help keep your chickens happy and healthy.